Our aim is to provide a nationwide office fruit, snack and flower delivery service. So if you cannot see your area listed, please contact us as we are expanding our delivery network all the time. 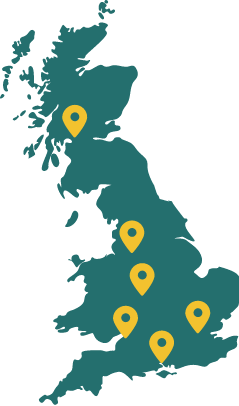 Please note that we only deliver to mainland UK – so Northern Ireland, Scottish Islands, Isle of Wight or Isle of Man are not possible. If you have any questions please contact our team on 0333 358 3310>.